JOHANNESBURG: South Africa's proposed secrecy bill, up for a parliamentary vote Tuesday, does not meet the nation's goals for free speech, former president and rights icon Nelson Mandela's office said. “From the outset we have sought to ensure that the bill meets standards of constitutionality and aspirations for freedom of information and expression, while at the same time providing protection for legitimate state secrets,” it said in a statement. “The drafting process has taken a long path, with some steps forward and some back,” said the Nelson Mandela Centre of Memory, the icon's foundation. “We will continue to engage with the development of appropriate and balanced legislation in this area of law, one crucial for our constitutional democracy,” said the statement. South Africa's first black president is now 93 and rarely seen in public since his retirement to his village home, but his office remains active in promoting his legacy. Media houses and activists have slammed the Protection of State Information bill for its harsh penalties for holding or publishing classified information, which they say could be used to cover up corruption. Under the law, transgressors could be jailed for up to 25 years. 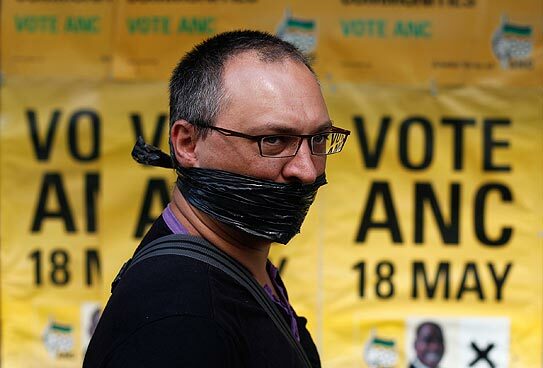 The state insists that the bill, which will replace an old apartheid law to safeguard state secrets, does not target journalists.